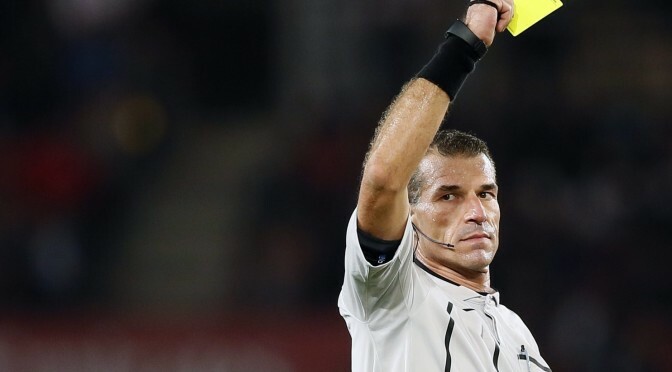 Not only red and yellow card, now soccer players could be rewarded with a green card when they behave god during the game, avoiding committing strikes or physical actions on the opposite players: it’s the “plan” revealed to BBC Sports by a spokesman of Italian B League. The aim of this plan is to give players an incentivation to change the game for better and improving soccer’s image in a positive way, overwhelming all the controversies that Italian soccer had in the last years, which led most part of soccer fans away from stadiums. These green cards will be virtual, are going to be given after the match and, and as explained by Andrea Abodi, serie B president, are a symbolic recognition of the effort performed by players on maintaining the level of the match as fair as possible, given not only to players but also to coaches and fans. It’s still uncertain what in particular should be done to receive this card, but Abodi assures it could be a simple but extraordinary act, remaining of the opinion that what matters is the recognition of an exemplary act. Green cards are not yet used on field, thus are still on development and B league will serve as sperimental lab for the major Serie A. This isn’t the only innovation that will hit European soccer; also Platini, the UEFA President, reveals that another colour of card might enter in rule in the near future: the white. White cards, which differently from the greens have a negative influx, will be used for players who are in conflict too much with the referee, and the rule will probably contemplate a 10 minutes timeout off the game.